Create unusual effects in watercolors and tempera paints by rolling the paint on the paper. Try them for window painting or for making quick and easy signs and banners. 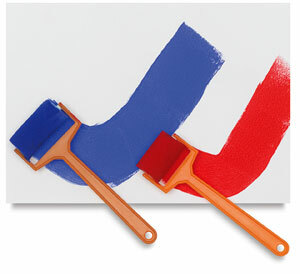 These have been very popular in French schools, and now everyone is discovering roller painting!